"Ballers, I put numbers on the board"
Numbers on the Board was created to showcase a select few of incredible talents we have on the platform. This for the artist and bosses who really put in work and excel at their craft. For the month of March the choice was made for me by these amazing people, CEO of 6x Entertainment Cvon Parchman, Producer Logarhythm, the talented emcee Neak, and the genius band King Ibis. Get familiar with them below! Cvon Parchman - Founder and President of 6xEntertainment C. Von Parchman is truly greatness in the flesh. From his dedicated staff of CEO Marty Arnold and Marketing/ Media Relations Anthony Murphy to the incredible roster of Tia P., Ki, and Lord Raka. Mr. C. Click the link below to learn more about the CEO of 6x Entertainment. 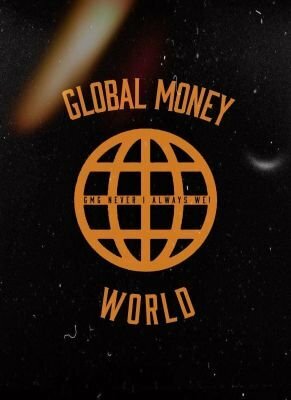 Neak - Featured on Global Money World with his two new videos "Legacy" and "For My City". Neak has high class sophisticated rap we've come to enjoy from this talented artist. The flows are infectious, the lyrics are the perfect blend of conscious and cool, that come together to make a style that is fluid and overflowing with swagger to make this a masterpiece. Check out the latest article of Neak below. King Ibis - Featured on Global Media Rock with "Backseat Drivers". King Ibis "Backseat Drivers" is a record that shows the innovation music needs to keep it moving forward beyond it's years. The production is marvelous, the lyrics are thought provoking, and the vocal performance is gold that makes this track stellar in every way. Check out the latest article of King Ibis below.